Been feeling seriously uninspired lately so decided to go searching through Debbie's wardrobe for some new treasures. 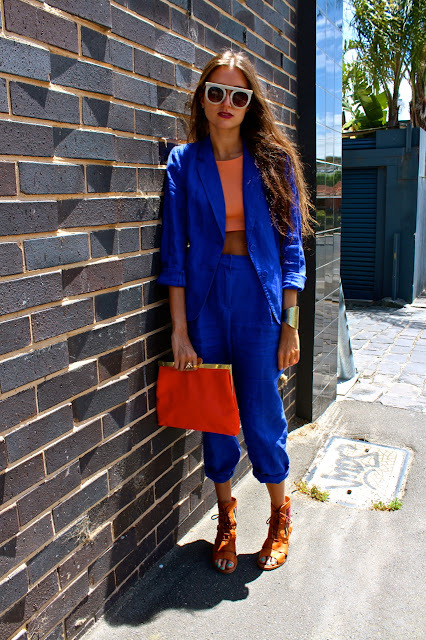 Was just expecting to find a pair of shoes to work into the mix so I was really excited to stumble across this amazing cobalt linen suit, such a great find! Leaving for Byron today and could not be more happy.. can't wait for the solid week of tanning ahead! Flying Tiger - save me!